Seven people have been arrested after reports of a shooting. 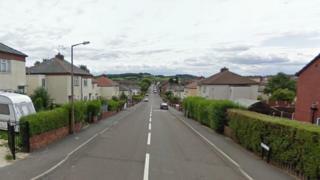 A 30-year-old man was taken to hospital with a suspected shotgun wound after an incident in Hirst Gate, Mexborough, South Yorkshire, on Saturday, police said. Three men, aged 25, 27, 48, arrested on suspicion of assault and firearms offences have been released under investigation. Two other men and two women have been released on bail. Those four were also arrested on suspicion of assault and firearms offences. A South Yorkshire Police spokeswoman said: "Officers believe these to be targeted incidents and enquiries are ongoing to understand the circumstances. "Shots were also fired at properties on Chaucer Road and Hawthorne Crescent, causing minor damage."